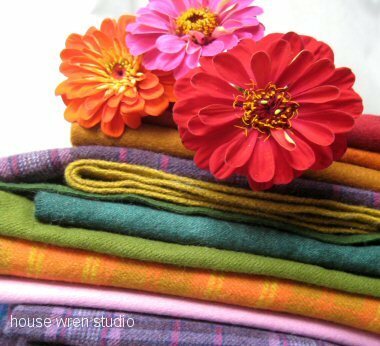 Lingering in the fabric stash lately, looking for ways to keep the spirit of summer just a little bit longer. (And the zinnias too.) 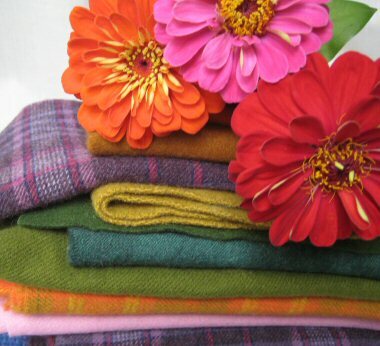 Couldn't help noticing October colors going off like blinkers in every fabric stack. So I assembled and added some scrap kits for the season to my Etsy shop. Firewood stacked, kettle simmering, ready to start into fall. Soon.Very soon.